Happy Tuesday! This weekend, I posted a photo of a fantastic purple drink that I had while in Greenville. I got so many questions about my beautiful frothy plum cocktail, that I decided to post the recipe here. 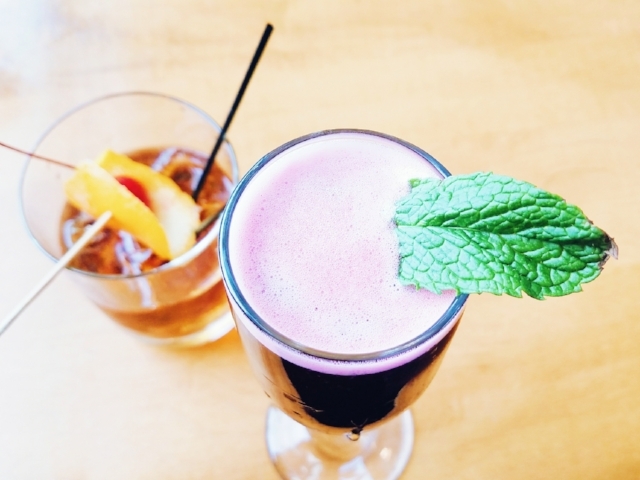 The drink is called The Violet Beauregarde and it can be found at Tupelo Honey Restaurants in North Carolina, South Carolina, and Tennessee. You don't have to be in any of those locations to enjoy this drink though. It's just convenient if you're hella lazy, like me. 🤷 Cheers!